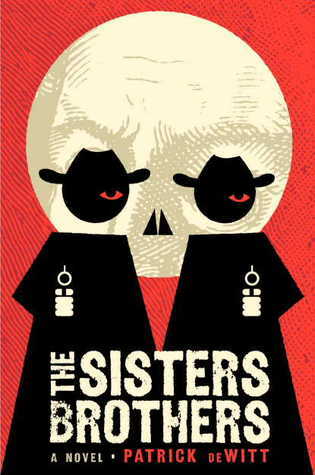 Don’t get the wrong idea when you notice that seal on the cover saying that The Sisters Brothers was shortlisted for the Man Booker Prize. Yes, this quirky crime novel dressed up in cowboy clothes may owe more to its high-falutin literary roots than to its “genre” kin, but it tells a compelling and character-driven story for all that. Reviewers have waxed witty in describing this novel, and a number of them have been right on the money. The LA Times compares this to something that could be written by the author of No Country for Old Men and The Road, that is “if Cormac McCarthy had a sense of humor.” Esquire magazine describes this novel as “a kind of True Grit told by Tom Waits.” Both these comparisons are pretty apt. Sisters Brothers can be grim and violent at times but it wins you over with its strangely loveable characters and its infectiously funny narrative voice. Our narrator is Eli Sisters, the more amiable of the two title characters, who are a duo of hired killers from Oregon City in 1851. Hired by a ruthless boss known only as The Commodore, Eli and Charlie set out on a horseback trek to Sacramento, California, where they are to murder a gold miner named Hermann Kermit Warm. Along the way, the brothers encounter all manner of colorful Old West characters, but I wouldn’t describe the novel as picaresque, as some reviewers have done. The initial goal of finding and murdering Warm remains the primary motivation of action throughout the novel, even if Charlie and Eli get into other scrapes along the way. Charlie Sisters is cold-blooded killer, and even if Eli is slightly less of a sociopath than his brother, he’s not above drawing his pistol when he sees red. As you can well imagine, there’s plenty of brutal violence in this novel, some of it bizarrely casual. While it’s never gratuitous, readers should still be prepared for some blood. But any coarseness aside, this is a beautifully written novel. The prose feels deliberately awkward, almost angular with its choppy yet poetic phrases. If you’re at all curious about this novel, try reading the first chapter – it’s only two pages long. That small taste will let you know if this is a book you might fall in love with because what ultimately draws you in here is deWitt’s gift for presenting Eli’s narrative with grace and clarity. Through the oddly charming voice of this deeply troubled character, we begin to understand and to sympathize with Eli’s slightly off-kilter view of the world. As readers, we find ourselves connecting with him as he begins to question this horrible way of life that he and his brother have chosen for themselves. As we turn the pages, we cannot help but hope that the Sisters Brothers can find a way to escape this darkness of their own making.